Roofing repair work should be done by professionals, but knowing how to inspect your roof and recognize roof damage can help prevent potential problems from escalating into something that will require new residential roof construction. The following is a checklist that you can use when inspecting your roof for damage. Main Roofing Area – Take a pair of binoculars and check the roof for signs of wear and tear; curling, buckling, or blistering are indicative of years of exposure to the elements. You might also find granules in the runoff from the gutters. Cracks, dents and loose shingles also signify impact damage. Roof Edge – Roof edges are especially vulnerable to wind damage. 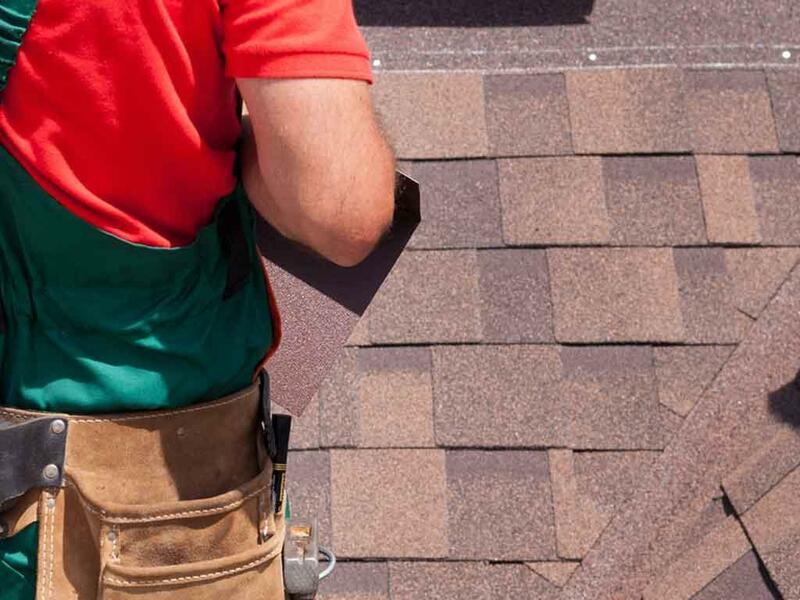 Today’s roofing systems feature reinforced edges, but you should nevertheless keep an eye on it and make sure there are no gaps between the edge and the first row of shingles. Roof Penetrations – Penetrations such as vent pipes and chimneys should have their boots intact. These boots are circular pieces of rubber or other material, which seals the area where it meets the roof. Depending on the material, it may crack over time. Flashing – Flashing is the strip of metal that protects breaks in the roof, such as valleys, dormers and where the roof meets a part of the wall. An important part of roof damage inspection is making sure that flashing is where it’s supposed to be; take note of any missing or displaced flashing and make sure it is professionally repaired. Other Parts of the Exterior – Inspect the gutters for rusted hangers, worn-out sealant, or accumulated leaves and debris. Clogged gutters can push water under the drip edge, which can cause damage to the roof deck. Check for Moisture Damage in the Attic – Next, bring a flashlight and climb into the attic. Inspect the trusses, rafters and the underside of the roof deck to make sure there are no water stains. If the attic feels too hot and/or humid, it may not be getting proper ventilation. Trapped heat and moisture may cause further damage to the bare wood parts which should also be addressed as soon as possible. Additionally, watch out for clumped insulation, another sign of moisture damage. To learn more about roof repair and our other exterior home services, call Flagstone Roofing and Exteriors today at (855) 232-6386. You can also fill out our contact form to schedule a free, in-home consultation. We serve many areas in and around Pearland, TX.